Heat waffle maker. Lightly spray with cooking spray. Separate dough from 1 can (7.3 oz) Pillsbury™ refrigerated cinnamon rolls with icing into 8 rolls; set icing aside. 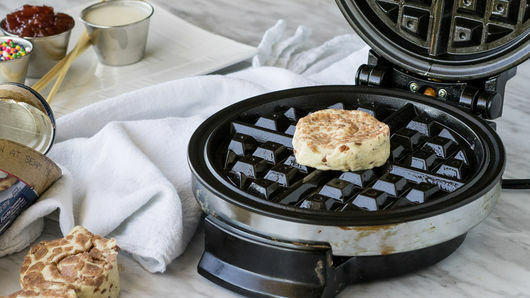 Place 1 or 2 rolls on heated waffle maker; close. Bake about 2 minutes. Carefully remove from waffle maker. Repeat with remaining rolls. Cut waffles in half. Carefully insert 1 small wooden skewer into each waffle half. 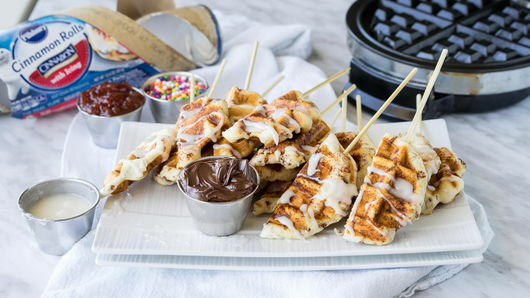 Serve waffle dippers warm with included cinnamon roll icing, 2 tablespoons chocolate hazelnut spread, 2 tablespoons strawberry preserves or jam and 2 teaspoons assorted candy sprinkles for dipping. 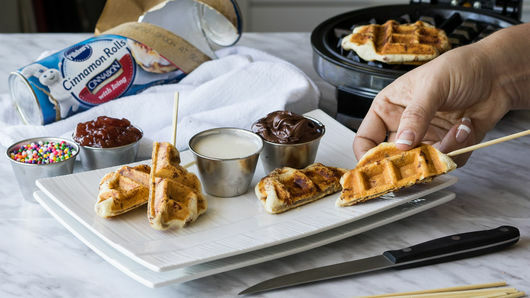 Make sure to lightly coat your waffle maker with cooking spray each time to avoid sticking. 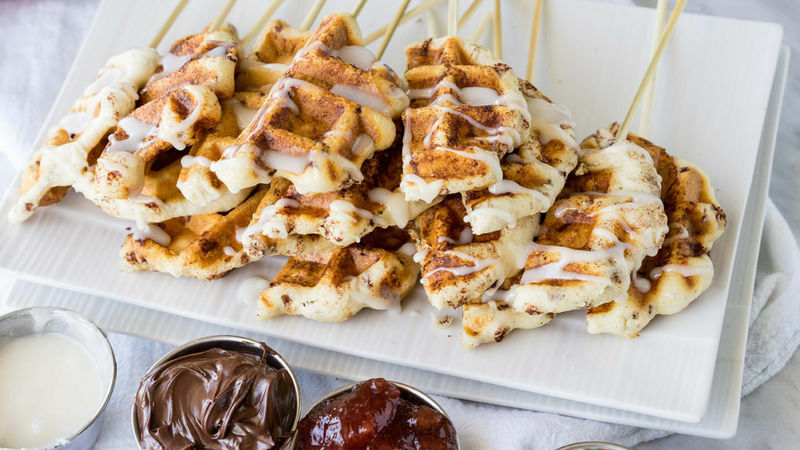 Serve these waffle dippers alongside sliced apples, melon slices or chunks, and fruit on a stick for a complete breakfast!